Techniques by Trish: Scrappy Mom's Sneak Peak! 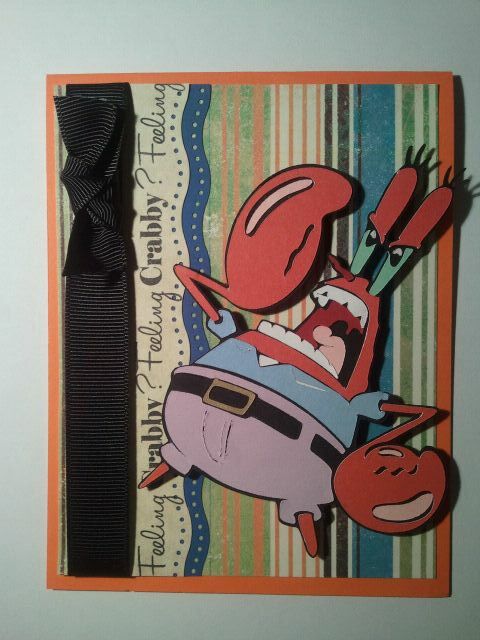 This card is so stinkin cute!!!!!!!!!! I love that crab, wow so much detail!!!!!!! Can I say I love everything about this card! This is just so AWESOME! I love the way you used the sentiment on the side. This is just to stinkin cute. 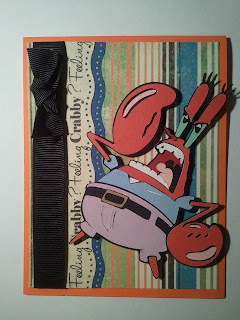 Mr Crabby! Sentiment fits perfect! I love it! this is perfect! I love how you used the stamp over and over! Great card! Spongebob is awesome, lol. 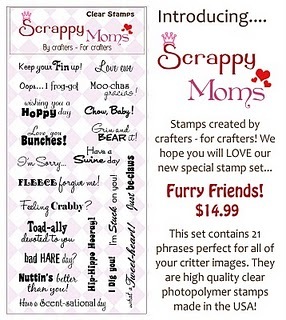 Hey Scrappy Mom sista =) Can I just tell you how much I LOVE this card!!! We love Spongebob and this is just too genius!!!! !